The Greater Noida Industrial Development Authority is planning to bring a new scheme for land allottees, under which it will offer sops to those who make the highest down-payment for the property concerned. The move aims to ensure a continuous flow of income to the authority, which is suffering from lack of funds. Must Read: How Investor Friendly Is Greater Noida? 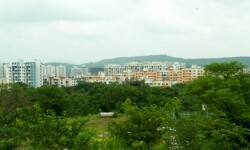 The Pune Municipal Corporation has formed a special environment committee to issue certificates. The announcement came after the state government made environment permission mandatory for constructions of above 5,000 square metres. 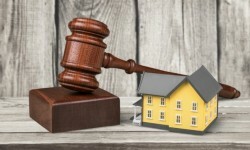 The Maharashtra government has moved to Bombay High Court, urging it to vacate its orders restraining the government from increasing floor space index (FSI) for cluster development in Navi Mumbai. Earlier, the HC had directed the state government to obtain an impact assessment report before sanctioning an increased FSI of 4 for cluster development in cities. Paytm founder and digital entrepreneur Vijay Shekhar Sharma is buying a Rs 82-crore residential property at New Delhi's Golf Links, one of the country's most expensive real estates. Sharma has signed an MoU for a nearly 6,000-sq-ft property in the Lutyens' zone.